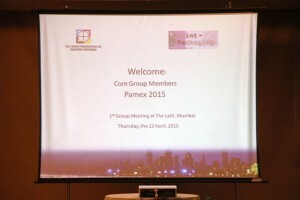 The Pamex 2015 Core Group, comprising leading suppliers, printers and media, met for its first meeting on 23 April 2015 at The Lalit Mumbai. 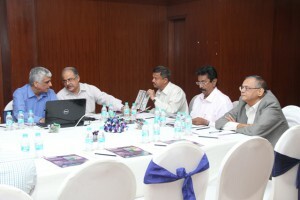 The meeting was organised by Print-Packaging.com (P) Ltd, the Event Managers of the 10th edition of PAMEX 2015, scheduled from 9-12 December 2015 at Bombay Exhibition Centre, Goregaon, Mumbai. 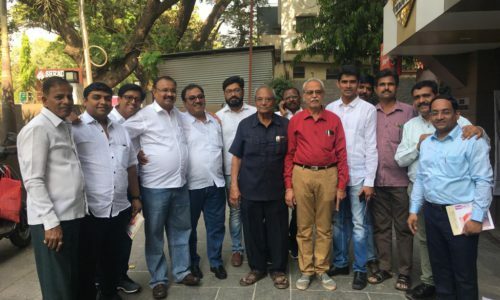 The meeting was attended by representatives from Dhote Offset Technokrafts, Grafica Flextronica, India Printing Works, Insight Communications, Kaleido Graphics, Kohinoor Printers, Label Planet, Lucid Prints, Mail Order Solutions India Pvt Ltd., National Printing Press, Nippon Color, Param Packaging Pvt. Ltd., Print Week, S L Kulkarni Cyril Graphics Pvt. Ltd., TechNova Imaging Systems Pvt. Ltd. and The Jeyagraham Arts Crafts. In his welcome address, Dev Nair, President of AIFMP spoke briefly about the history of Pamex and the unprecedented success of the 2006 edition when the event was last held in Mumbai. “Our mandate for the Event Organiser is simple- surpass the success of the year 2006,” said Nair. 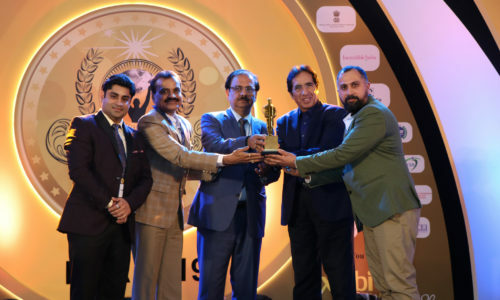 Anil Arora, President of Print-Packaging.com, spoke about the background of the company and its association with the printing and packaging industries. He also explained how the Core Group would be central in planning and executing the event and in realising the mandate. 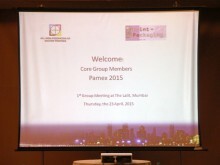 Tushar Dhote, Co-Chairman of Pamex organising committee, updated the group on the status of exhibitor booking. “With over a hundred exhibitors including several major players already on board, we are on course to attain the targeted 10000 Sqm from 300 exhibitors,” informed Dhote. He also spoke of the strategic agreements signed with Printing & Printing Equipment Industries Association of China (PEIAC) and China Academy of Printing Technology (CAPT) and projected a largeChinese participation in a special pavilion. Dhote also outlined the structure of the day long International Conference planned for 10 December at the venue. 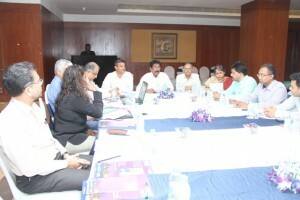 Mumbai Mudrak Sangh (MMS) and Print Week would be coordinating the conference. He also disclosed that the leading Print magazine, The Print and Publishing will produce three 24-page newsletters leading up to the show which will cover news and features from the participating companies and developments happening at Pamex Exhibition. Dhote informed that the Federation was targeting one lac visitors from India and abroad for the 4 day event. He sought ideas from the group to make this a reality. 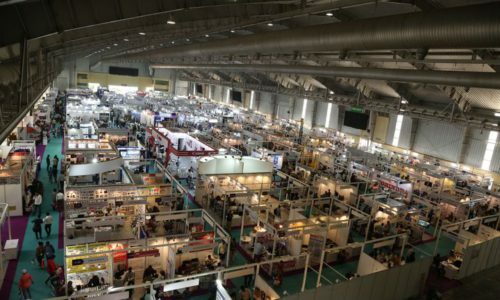 The group also suggested that the promotional Road Shows should include seminars and table top exhibitions to give a larger value to the attendees. The road shows should also involve several Printing Associations not affiliated to AIFMP and the possibilities of holding such events in the neighbouring countries of Sri Lanka, Bangladesh and Nepal should also be explored.